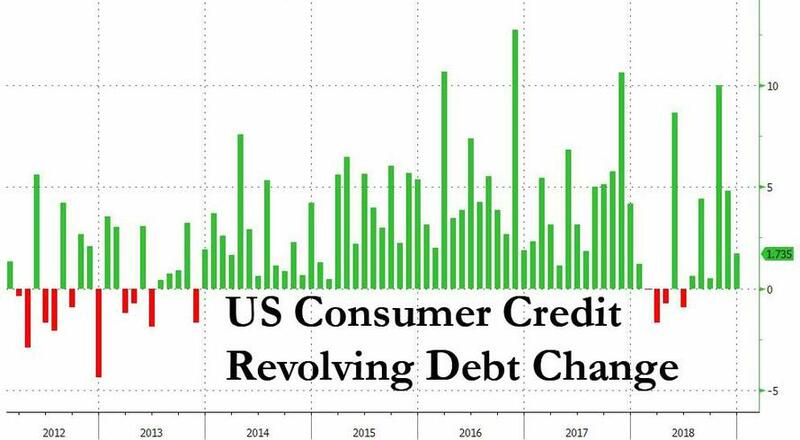 After a few months of wild swings, in December US consumer credit normalized rising by $16.6 billion, just below the $17 billion expected, after November's whopping $22.5 billion. 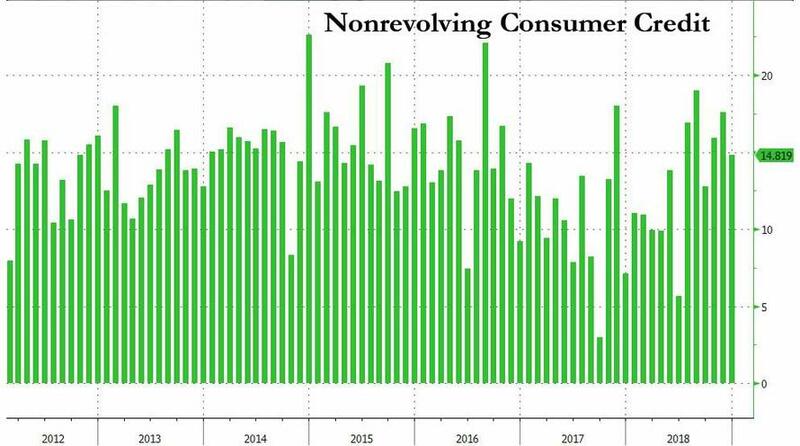 The surge in borrowing in November brought the total to just above $4 trillion for the first time ever on the back of a America's ongoing love affair with auto and student loans. 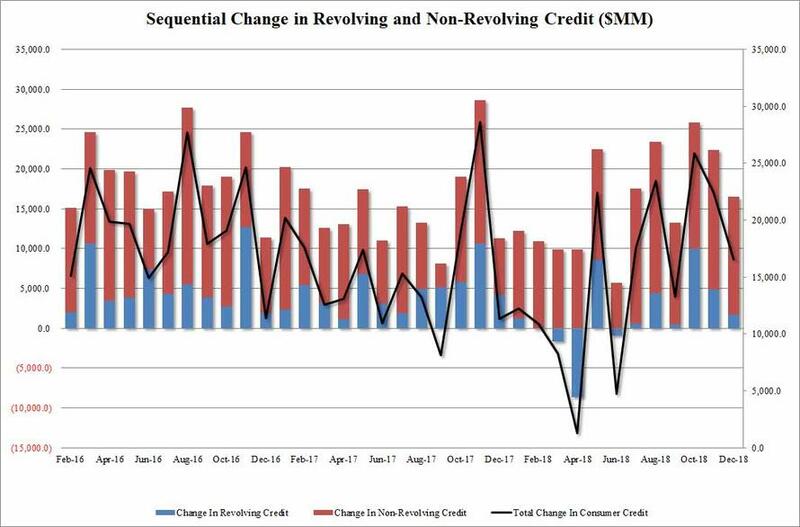 Revolving credit increased by $1.7 billion to $1.045 trillion, a modest slowdown since November's $4.8 billion. 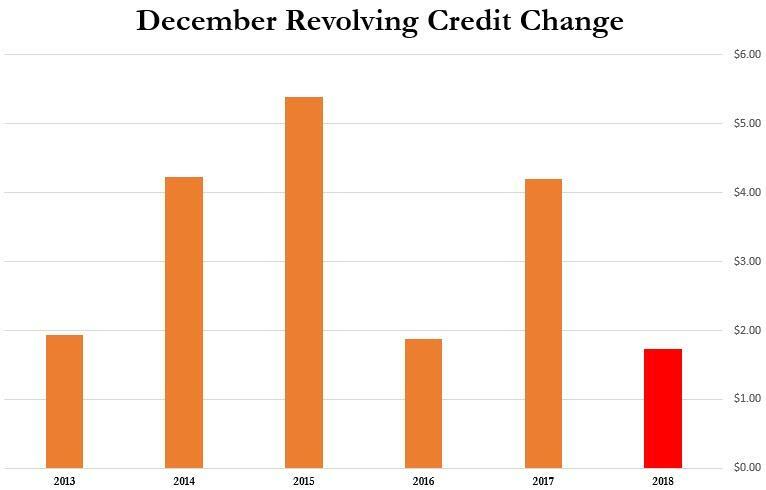 Perhaps more notably, the lowest increase in December credit card usage since 2012. There was barely a change in the monthly increase in non-revolving credit, i.e. 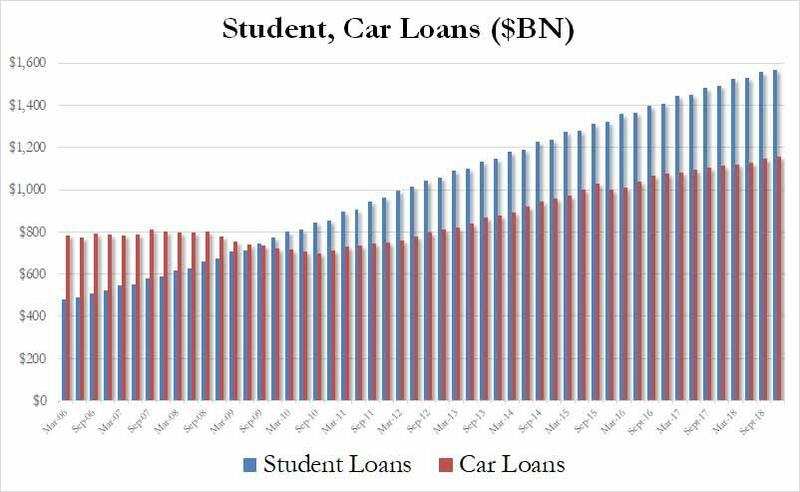 student and auto loans, which jumped by $14.8 billion, bringing the nonrevolving total to a new all time high of $2.965 trillion. And while slowdown in December credit card use may prompt fresh questions about the strength of the US consumer during the all-important holiday spending season, the recent dramatic upward revision to personal savings notwithstanding, one place where there were no surprises, was in the total amount of student and auto loans: here as expected, both numbers hit fresh all time highs, with a record $1.593 trillion in student loans outstanding, an impressive increase of $10.3 billion in the quarter, while auto debt also hit a new all time high of $1.155 trillion, an increase of $9.5 billion in the quarter. In short, whether they want to or not, Americans continue to drown even deeper in debt, and enjoying every minute of it.